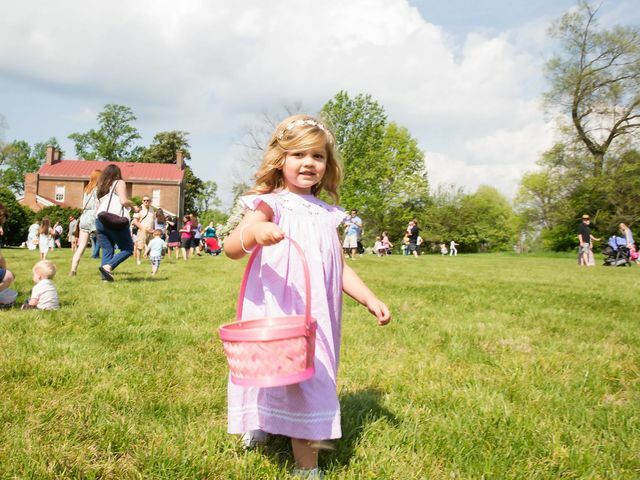 Join The Hermitage for our annual Presidential Easter Egg Hunts on the beautiful lawn of Tulip Grove Mansion! More than 5,000 stuffed eggs will be hidden at each program, including special prize eggs. Easter Egg Hunts will be divided into three age groups, each with their own field and start time: 8–10, 4–7 and 3–under. **NEW in 2019: Presidential Easter Egg Roll! ** Kids will have a chance to decorate their own egg to race in a traditional egg roll down the front lawn of Tulip Grove, home of Emily Donelson who acted as First Lady for her Uncle Jackson! Additionally, families will get to enjoy a special photo opportunity with the Easter Bunny, create springtime cards for military troops, decorate cookies, play historic lawn games, listen to music on the veranda and enjoy story time and crafts with Usborne Books!